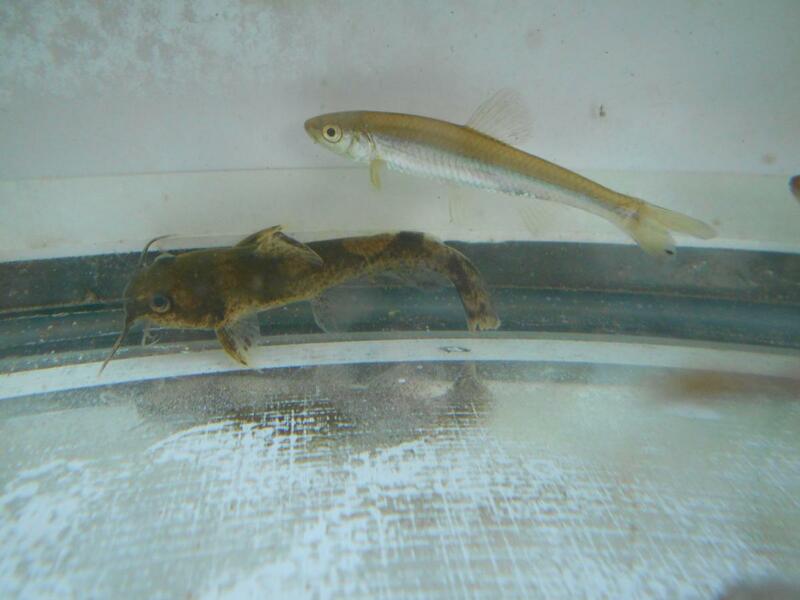 I am convinced many darters exhibit quite a bit of movement in their streams. Yesterday I was checking out a favorite Christmas Darter stream, and there was definitely some differences of where they'd be found in summer. 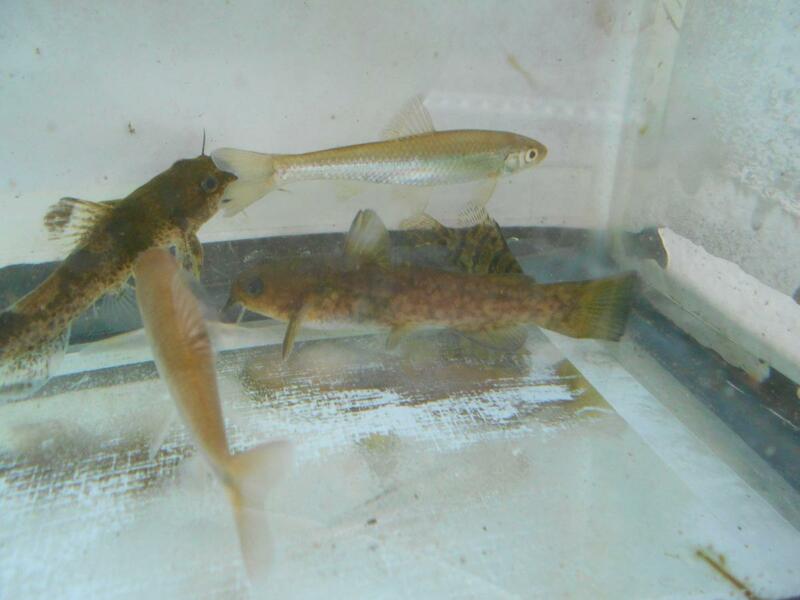 In my local river, the Little Miami, one major seasonal distributional change I see is with mottled sculpin. During warmer months they are very difficult to come by in the main stem. Easier to find in small spring runs and spring fed tribs. During the winter they are more widespread throughout the main river. This is not terribly surprising given their preference for colder water. I suppose I mostly just wonder how many are in the main stem year round, confined to areas with ground water influx. Small areas that one might overlook, likely provide refuge during the warmer months. Surely they don't all come out of the few spring runs in area? Now our local darters and riffle dwelling madtoms seem to be in pretty much the same habitat year round along with some cyprinids that are closely associated with riffles. The species that are more loosely associated with riffles tend to find their way to deeper slower pools and pockets as well as into the deeper pools of the lower portions of tribs. The overall numbers seem lower in general, and it seems that in winter you have to work harder to see as much. The rest are probably hanging out in those elusive spots that keep the sculpin happy in summer. I think you're dead on, DLV. 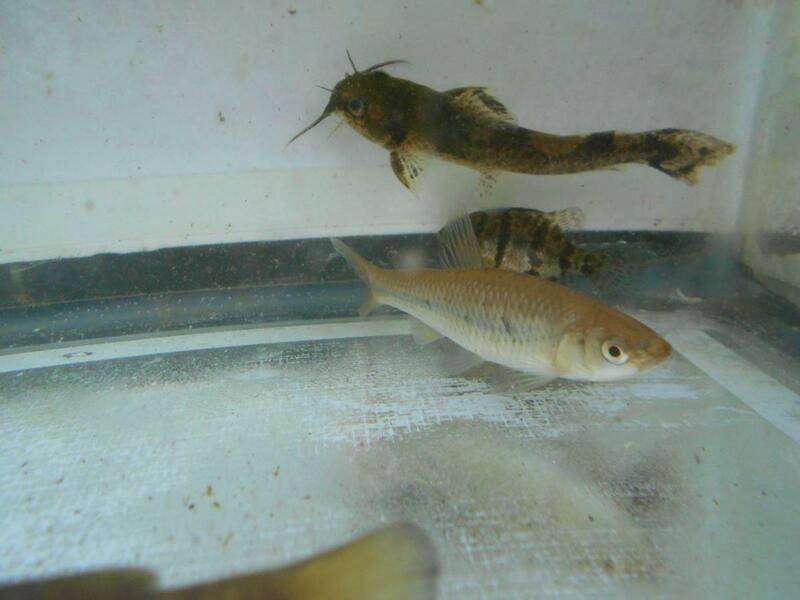 Finally got my first glimpse of a living fish in my stock pond since the freeze. Don't know what it was, other than one of the shiners. Gonna need to clean the thing out and take a census, I guess. Hopefully they're still snuggled up in the Java Moss and Hornwort. Yeah, survivors! Got a chance to survey the pond this afternoon. Despite being frozen almost solid, half a dozen fishes found refuge and had fortitude enough to ride it out. Truth be told, the remaining fishes looked pretty darn good! Brindled Madtom, souvenir from MO; a little Blackbanded Sunfish, who I'm really excited about as it was just a tiny thing late last fall/early winter and is the product of a second spawning in that pond; and a Greenhead Shiner, pond bully. Whitefin Shiner and the same Brindled doing a little photobombing. Flat or Snail Bullhead mixed in with previous subjects. 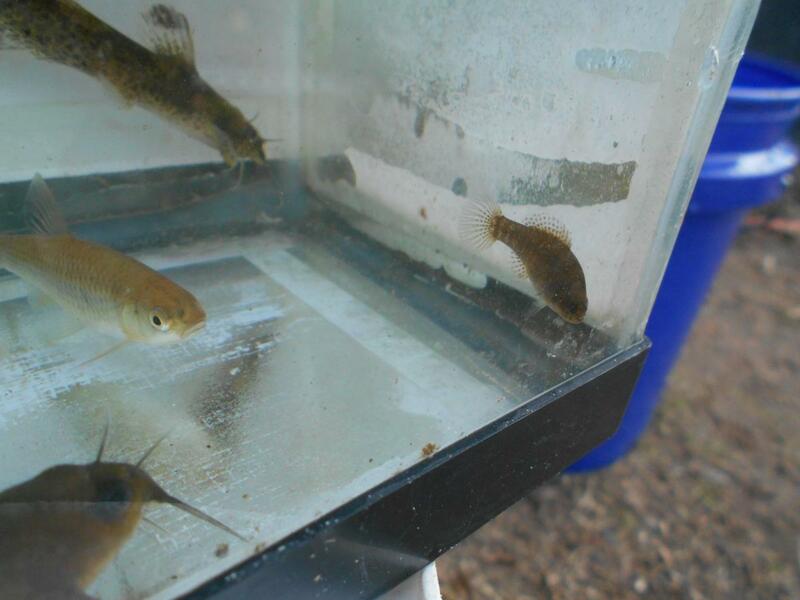 And the beefiest, need-to-find-her-boyfriend-soon Banded Pygmy Sunfish I've ever seen! Plenty of snails survived, but didn't see any of the handful of corbicula I had in there. Hope everybody else who froze in Dixie has some good news, too! Hey buddy, I dont see anything that looks like a Notropis to me... both the shiners look Cyprinella in these pics... you mean maybe greenfin... I dont think greenhead? Good catch, Michael. Thanks. Absolutely Greenfin. Truth be told, that Brindled might be a split. Or I might be confusing that with the other madtom I picked up in MO. Almost all my fish books are packed up from the most recent time we thought we were moving and I'm not sure where my MO collecting notes are at the moment.